The Fairfield collection features a minimalist dial design and clean lines paired perfectly with the understated straps to complement everything in your closet. The INDIGLO night-light and 30 metre water resistance provides fantastic functionality. 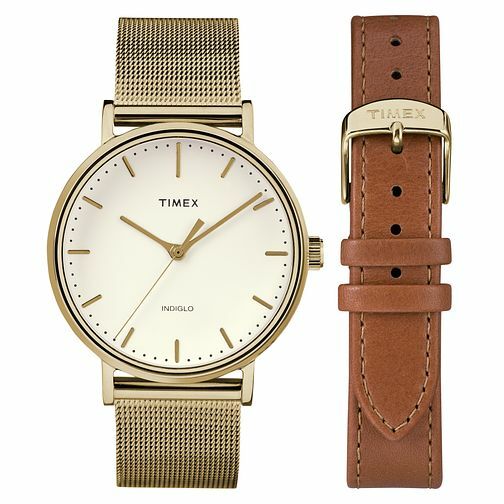 This set features an interchangeable brown leather strap, giving you a watch to suit every occasion.